Vin d’orange is a classic Provençal aperitif made with white or rosé wine, oranges, sugar, a neutral spirit and spices. It can—and should—be made at home. Vin d’orange (not to be confused with orange wine, a style of wine in which white grapes are left to macerate on the skins) is a classic Provençal aperitif made with white or rosé wine, oranges, sugar, a neutral spirit and spices. It can—and should—be made at home by anyone with an extra bottle of wine and four weeks on hand. Matt Hamilton, the owner of Brooklyn’s Lulu & Po restaurant, has been making his own version of the refreshing, citrusy liqueur for years. Hamilton first encountered the aperitif in Provence, France. The liqueur was in a large jar, which had a continuous spiral of orange peel suspended in it. When he tasted the mixture, it caught his attention and held it. He returned to the States and started making his own vin d’orange, based on a recipe from the famous French chef Roger Vergé. Many recipes for vin d’orange call for rosé wine. “That’s not the way you make it,” says Hamilton. “There’s nothing wrong with it, but it’s wrong.” He uses a bottle of dry white wine, preferably French. (Use something good: “If you don’t like the wine, don’t use it,” he says.) 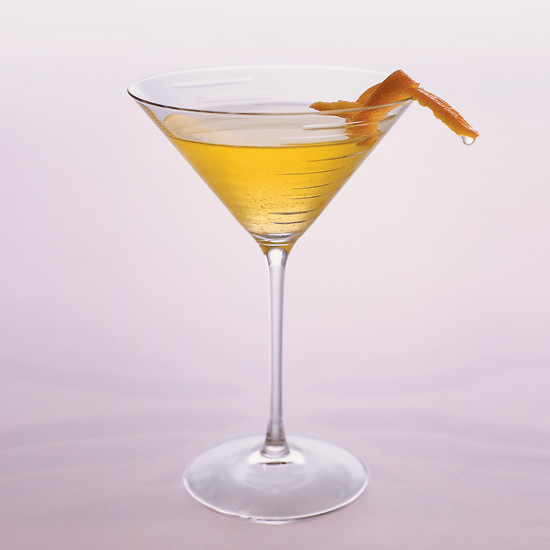 Hamilton also strays from classic recipes by replacing the traditional bittersweet Seville orange, which he finds much too bitter, with a Valencia or Cara Cara orange. “A vin d’orange wants to be refreshing and it doesn’t want to be too bitter or too sweet,” he says. To make the vin d’orange, Hamilton pours one bottle of wine into a large bottle with a latch top (a jar will also work), along with four ounces of grappa (or any eau-de-vie), one quartered orange, one quartered lemon and a vanilla bean. He leaves the mixture somewhere cool and dry for four weeks, then strains it. “Don’t squeeze it, just let it drip dry,” he says. “You don’t want it too cloudy.” Then he adds about two ounces of simple syrup for every 24 ounces of aperitif—six ounces if he wants to make a dessert-style liqueur. The vin d’orange will last for about six months in the fridge, and is best served simply over ice.